A one page website for DJ’s, bands, music producers, artists etc. Has sections for music, mixes, songs / tracks, all linked to Mixcloud, Soundcloud, Youtube etc. 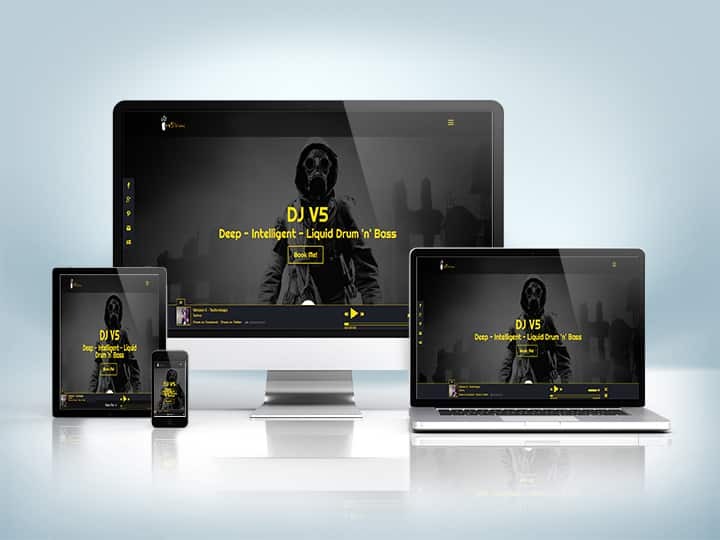 I have used a Full Width Audio Player plugin for adding tracks and mixes to the website, the audio player has also been styled to match the colour scheme of the website. The website itself is responsive, meaning it looks great on mobiles, tablets and laptops. The colour scheme is black/ dark grey – yellow & white. The colour scheme can easily be changed to suit your company colour scheme. the website is set up with social sharing, meaning it is easier for you or others to share the website contents easily on any social media websites. It is also loaded with an optin form that pops up after scrolling down a certain amount of the page or after a few seconds on inactivity, there is also an email capture form in the footer.